In Egypt, there have been hideous attempts to govern. Greedy groups that are seeking power and are aiming to avenge from political Islam groups, such as the Muslim Brotherhood, are using crafty politics. The town of Kerdasa, near Cairo, has been the most recent place subject to a wave of violence due the Brotherhood and its supporters in control of it. Kerdasa witnessed a massacre on August 14 when the Rabia al-Adwiya protest sit-in was dispersed. On that day, protesters in support of ousted President Mohammad Mursi headed to Kerdasa's police station, burnt the building and killed its officers and policemen. Those who saw the scene of their slain bodies know how difficult it is to forget. In the past few days, Egyptian security forces managed to raid the area after it was transformed into a haven for Islamic groups that insist to confront the Egyptian state and society. Kerdasa's geographic nature helped those fugitives seek refuge there. But is Kerdasa still capable of overcoming the waves of violence it has been subjected to? The town evolved into a haven for criminals, fugitives and armed men after being a paradise for tourists. If you’ve ever visited Egypt as a tourist, and brought souvenirs, you will find that you have brought at least one of product made in Kerdasa. The town’s name is linked to fabric and clothing, especially among Arab tourists. This is the Kerdasa they know. This is the Kerdasa that history knows. Kerdasa is the biggest town in the Giza governorate. It's one of Egypt's ancient towns and it's been mentioned in several books on Egypt's history and geography. Ali Pasha Mubarak mentioned Kerdasa and its characteristics in volume 15 of his book Al-Khitat al-Tawfiqiyya al-Jadida (Tawfiq's new plans). No one knows the exact timing of when Kardsa began to make fabric. But what's known is that this industry was developed by parliamentarian Mahmoud Pasha Fahmi al-Makkawi who hailed from that town. He established the Cooperative Association for the Textile Industry in 1943. The number of textile factories in the town reached around 600 small ones, and they were the secret to sustaining this area's life. Kerdasa was not only known for its textile industry. Some extremist symbols in Islamic movements have also been linked to it. The town of Nahya is the hometown of al-Zomar family which Tarek and Abboud al-Zomar belong to. Tarek, who was jailed on the accusation of murdering Former Egyptian President Anwar al-Sadat, is currently wanted on accusations of inciting violence. When the MB seized power and when Mursi was appointed president, Kerdasa once again became a stronghold for extremist religious intellect and Brotherhood members. 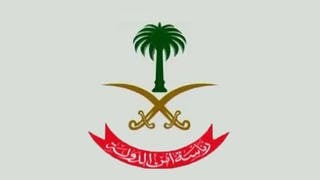 Extremist cells became active there following the August 14 massacre. These cells carried out terrorist acts against the state and turned Kerdasa into a hotbed hosting wanted and armed men. The town thus entered a fateful battle over its existence. Barricades, cement blocks, firearms, RPGs and metal blocks. That's the scene there, a battlefield. This scene was at Kerdasa's police station following a number of Islamic groups' announcement that it took control over it. These groups declared an Islamic state there in response to dispersing Cairo’s Rabia al-Aadwiya and Ennahda protests. Kerdasa's fame went viral, but not due its touristic features but because of that unfortunate massacre. Unmerciful men who murdered the police station's personnel took control over Kerdasa and aimed to make it a place to practice their violence. The Egyptian authorities therefore had no other choice but to purge the town of its defects. This horrid tide has left the town. But will it restore the beautiful memories of everyone who has visited it? Will it restore these beautiful memories that come to us when we look at its lively colorful fabrics? I hope so. This article was first published in al-Masry al-Youm on Sept. 21, 2013. 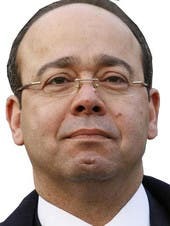 Abdel Latif el-Menawy is an author, columnist and multimedia journalist who has covered conflicts around the world. He is the author of "Tahrir: the last 18 days of Mubarak," a book he wrote as an eyewitness to events during the 18 days before the stepping down of former Egyptian President Hosni Mubarak. Menawy’s most recent public position was head of Egypt’s News Center. He is a member of the National Union of Journalists in the United Kingdom, and the Egyptian Journalists Syndicate. He can be found on Twitter @ALMenawy.